Short haired cats shed a LOT. 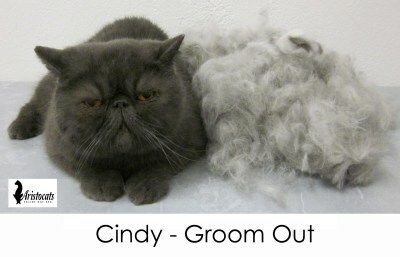 A bath, blow dry & de shed treatment can reduce shedding by up to 80%. A lion clip or a short comb cut reduces evidence of shedding even further. 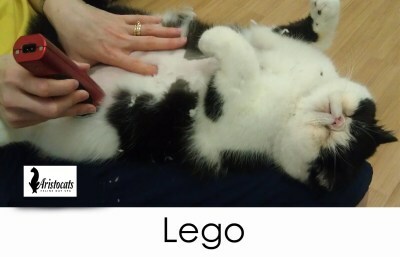 Each cat that comes into our salon will be bathed and blow dried to remove the build-up of grease from their coats. They will then be thoroughly combed through to remove loose fur. 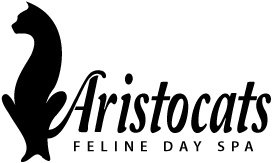 In addition to this there is a number of other add on services that we can provide to help improve the health and well being of your cat. PLEASE NOTE: Prices are a guide only; quotes will be given once we have seen your cat. Any cats presented with knots, matting, fleas, are excessively dirty or take longer to groom due to behaviours will incur a higher fee.